While you may or may not endorse the whole idea of Valentine's Day, you cannot deny all the cuteness that is currently be-bopping around the stores. 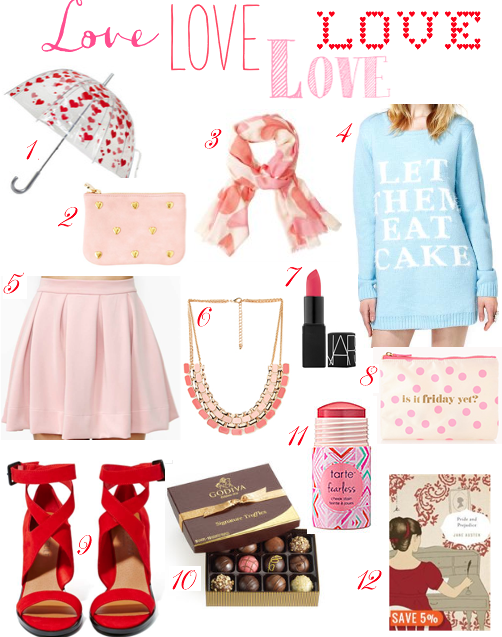 Since the festive day revolves around one of my favourite pastel colours,whether it be a skirt or scarf, a decoration for the home, or a yummy treat, I am in total acceptance of all things blush and heart shaped. Here are some of my current cravings that have definitely been influenced by the love month!